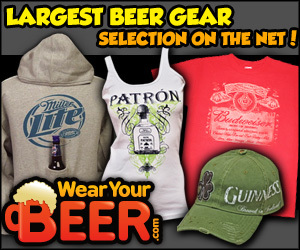 Home » Comedy, Concerts / Live Music, and Theater. » Pick a Date! 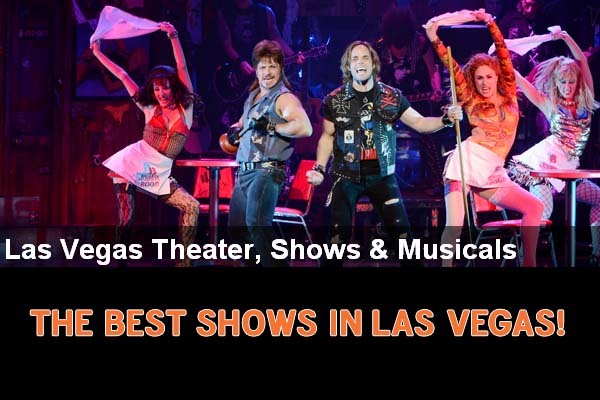 The Best Shows in Vegas! Choose 2015 Shows and Dates! Pick a Date! The Best Shows in Vegas! Choose 2015 Shows and Dates! Get your tickets to the best shows in Vegas here! We’ve got access to the hottest shows at the best places Las Vegas has to offer! Choose show dates, seating options, and find the best price for tickets to the shows you can’t miss. Discount tickets, transportation, the best hotel accommodations and more are at your finder tips from iBuyYouADrink.com and our partners. Hurry! Tickets move fast for the best shows in Vegas. Reserve your seats now. Vegas! The Show, Rock of Ages, Blue Man Group, ‘Cirque du Soleil, Jersey Boys, and the list goes on and on. Click to reserve you seats now, follow the website link (right) or choose REGISTER NOW below access tickets for the best shows in Vegas. Choose from these favorites and many more of the best shows in Vegas! Ticket prices starting as low as $29.95! Prices vary be show and seat selection. 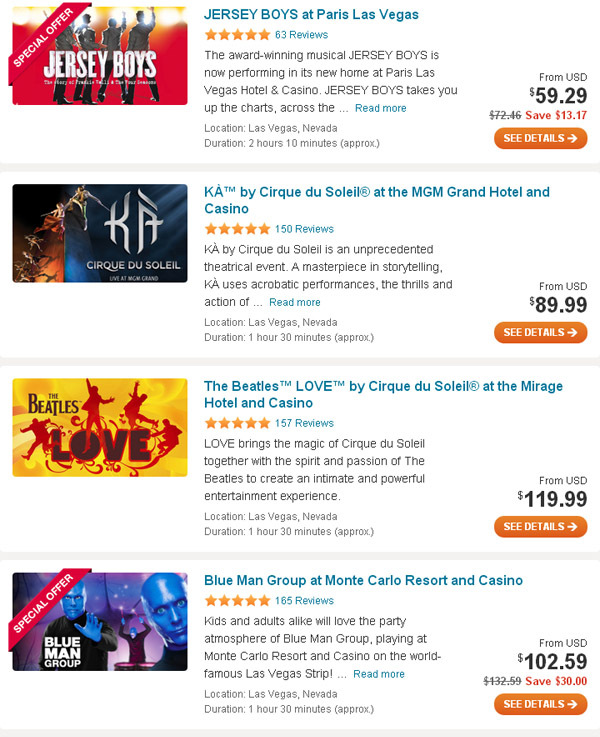 Click GET TICKETS and find the best seats at the best prices for the hottest shows in Las Vegas now. Fees : Vary by show and ticket options. Comedy, Concerts / Live Music, Theater. Registration Fees: Vary by show and ticket options. Big Elvis at Harrah’s – 4 Days Per Week! singles – The 90′s Music Experience – FREE Show at LVCS!